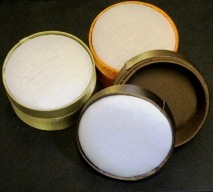 rabbits are white and 42x42mm . dogs are black and 42x42mm . Linen look good weight fabric 140cm wide by 1m . hens . all over pattern with hens ..
Linen look good weight fabric 140cm wide by 1m . small rose sprigs . small rose sprigs scattered all over fabric . Linen look good weight fabric 140cm wide by 1m .red hearts . red hearts evenly spaced along width of fabric . ladybirds are 30x30 mm . Linen look good weight fabric 140cm wide by 1m .Plain linen . 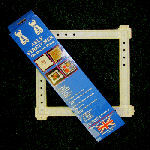 we have used this widely as base for embroidery ,for applique work ,for bags ,aprons ... and it is excellent in every way . in september we should be getting it in colours too ! Gorgeous miss strawberry mouse with her own little house . Comes complete with all instructions,ribbon,felt , chipboard,bead, heart ,flower, button .finished house measures two and three quarter inches all ways . this is part of a four part set for each season . we have summer in stock now and are waiting for autumn and winter ... with bated breath ! Linen look good weight fabric 140cm wide by 1m .pale blue back ground for great blooming roses .